November 1st 2006 was the official launch of the Safety Accord Forestry Enterprise (“SAFE”) Companies Program in British Columbia. The program is a uniform, sector-wise system of health and safety standards designed and operated by the BC Forest Safety Council which focuses on five main themes: collective safety responsibility, building an infrastructure, training/certification, effective enforcement and a change in culture. The SAFE program is part of a three-pronged strategy targeting high risk areas, and was implemented after a nearly record number of fatalities on the job in 2005, which preceded a coroner’s inquest into one of those fatalities through 2006. This type of inquest was the first of its kind to occur within the BC forestry industry, and has really opened people’s eyes to some of the necessary improvements needed within. With this new program in place, forestry operations of all kinds and sizes can now earn SAFE certifications by implementing required safety programs, making safety an over-riding priority and passing annual Council audits based on rigorous but attainable standards. This is a program very similar to the COR Compliance program already in place in Alberta as well as other provinces. Diana Miles, Vice President of Worker and Employer Services for WorkSafeBC congratulated the forest sector for building on a platform that has seen success in other industries. 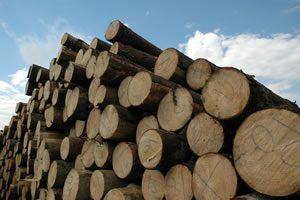 “The forest sector has recognized its serious safety problem and is aggressively dealing with it,” says Miles. She added the SAFE Companies program is a member of WorkSafeBC’s Partners in Injury and Disability Prevention program, which provides rebates on WCB assessments to employers once their safety programs are certified. ← Instantly Generate 300 Log OSHA Forms!